Bowling City has established itself in 9 eminent venues of Dubai, but Dubai Festival City gave this activity a huge prominence. The brand was brought into the heart of Dubai after getting inaugurated at the Dubai Festival City. The cozy and comfortable family oriented environment gave people a chance on keep coming back for more. The ample seating area is always open for visitors to enjoy scrumptious food from the café and enjoy the game. Do not give any second thought because you will certainly enjoy your time at this outclass entertaining spot. Grab the information related to Bowling City Festival Centre Dubai from the guide arranged below and see what you have been missing earlier. - There are 12 bowling lanes available for the visitors to indulge themselves in this awe-inspiring activity. - Besides bowling 9 billiard tables are also present at the venue. - If you wish to entertain yourself through network gaming, then grab any of the 24 PCs. - Four karaoke cabins are also present. 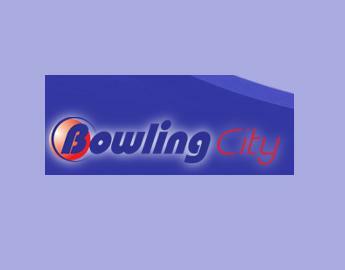 You can avail the enthusiastic services of Bowling City from 10:00 am till the midnight, all seven days a week. 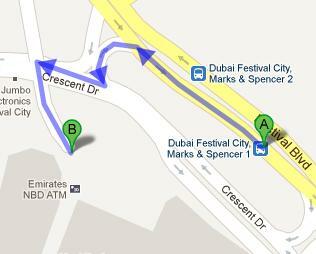 The nearest bus stop Dubai Festival City Marks & Spencer 1 is 40 meters away from the Dubai Festival City where Bowling City is endowing its services. Route numbers 4, 44, 53 and F08 are allowed to make a stop here. To cover the extent of space between two locations you will have to walk for 6 minutes. After getting out of the bus you will have to head in the northwest direction onto Festival Blvd. After covering 170 meters you will have to take slight left turn and move towards Crescent Dr. The right turn will keep you on the same road Crescent Dr, but the last left turn will take to you to your required destination. For a detail view of the route take assistance from this link.